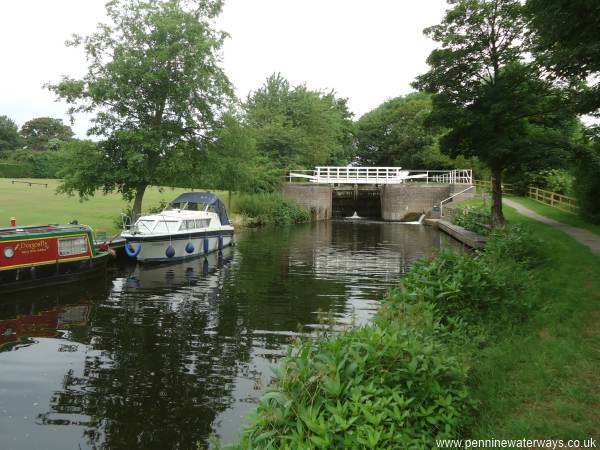 This page shows a few of the highlights along the North Yorkshire Waterways. You can see a fuller sequence of photos in the "virtual cruise" pages. 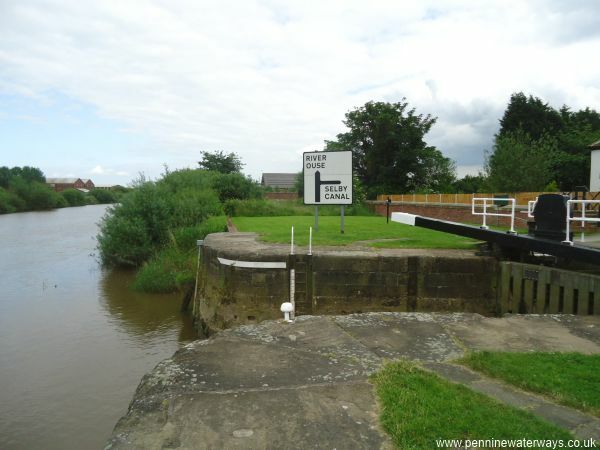 West Haddlesey Flood Lock at the entrance to the Selby Canal. At normal river levels both sets of gates should be open. 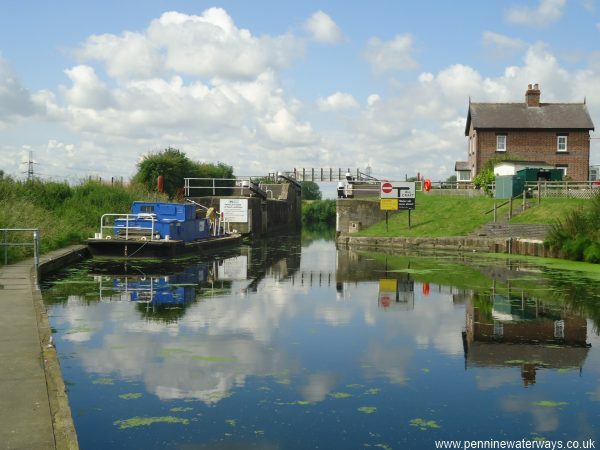 When the levels on the River Aire are normal, both sets of gates at West Haddlesey Flood Lock are open. 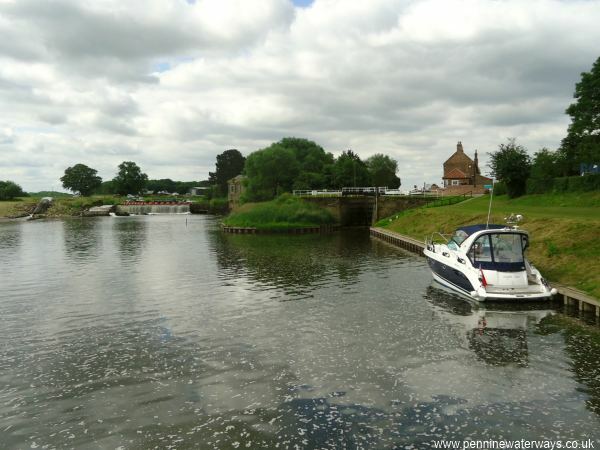 The tidal River Ouse, looking east towards Goole from Selby Lock. 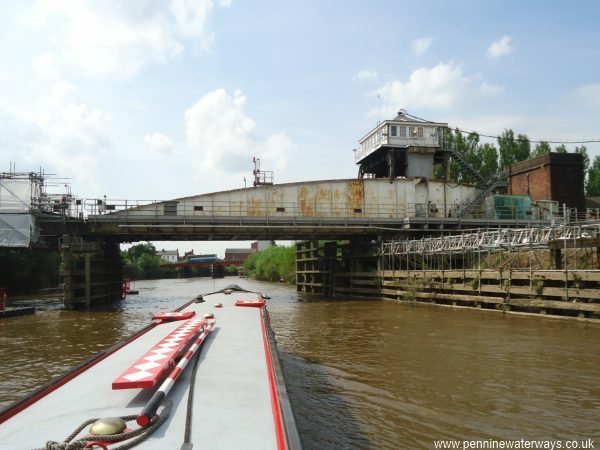 Selby Railway Swing Bridge, which at one time carried the main East Coast railway line until a new line by-passed Selby, seen from the tidal River Ouse. 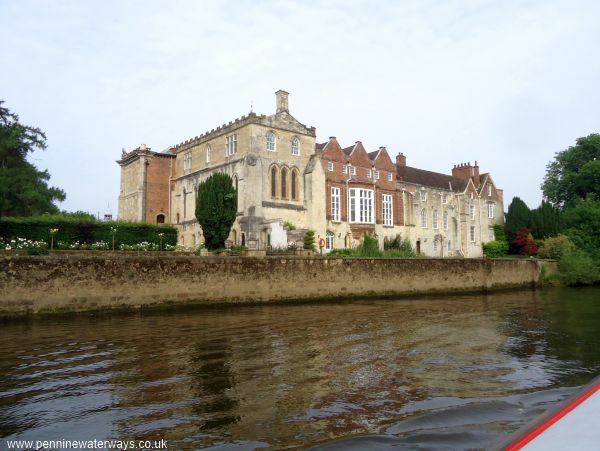 Bishopthorpe Palace, the official residence of the Archbishop of York, seen from the River Ouse. 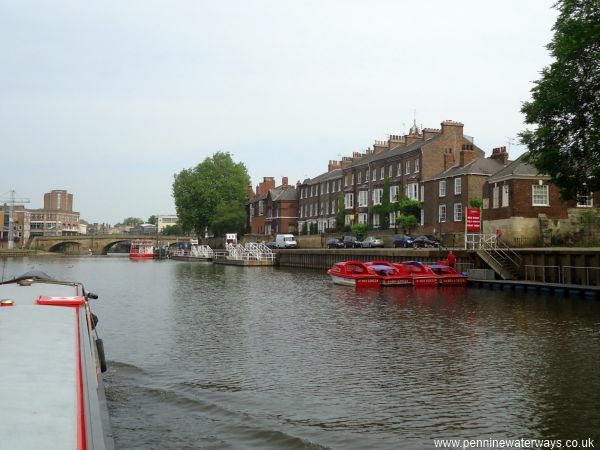 Looking towards Ouse Bridge, York, with South Esplanade on the right. 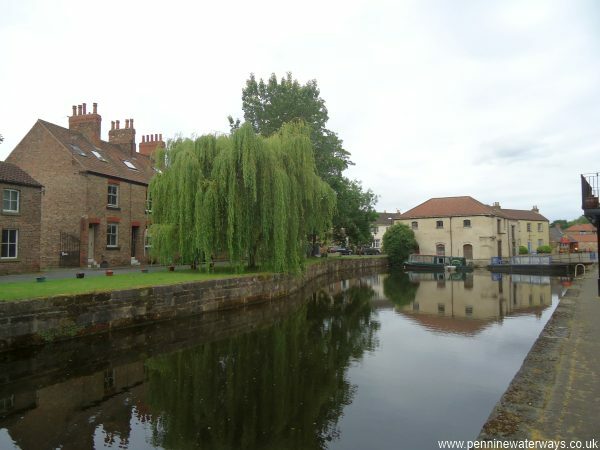 Rowntree Wharf on the River Foss in York. 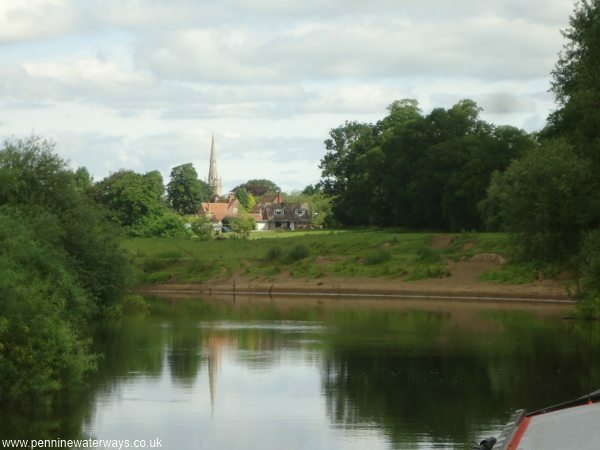 The village of Newton-on-Ouse, dominated by the spire of All Saint's church, seen from the River Ouse. 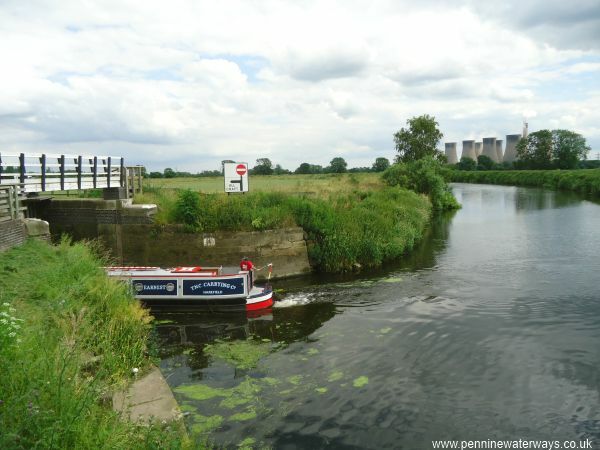 Linton Lock on the River Ouse with the weir to the left. 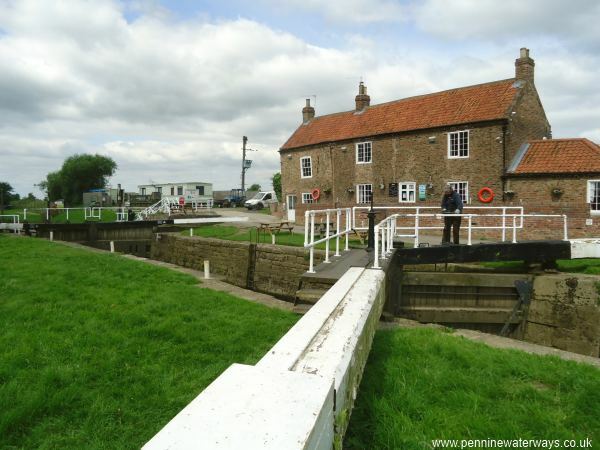 The restored lock keeper's cottage at Linton Lock now houses a pub which also serves food. Looking up the tree-lined avenue to Newby Hall from the River Ure. 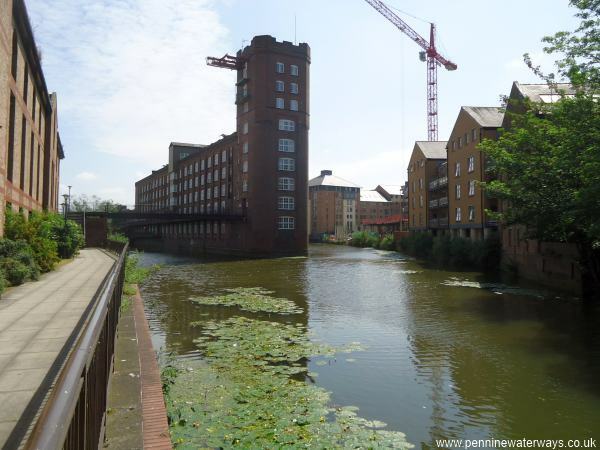 This Grade I Listed Building was partly designed by Christopher Wren. It was built around 1697, replacing an older hall that dated from the thirteenth century. 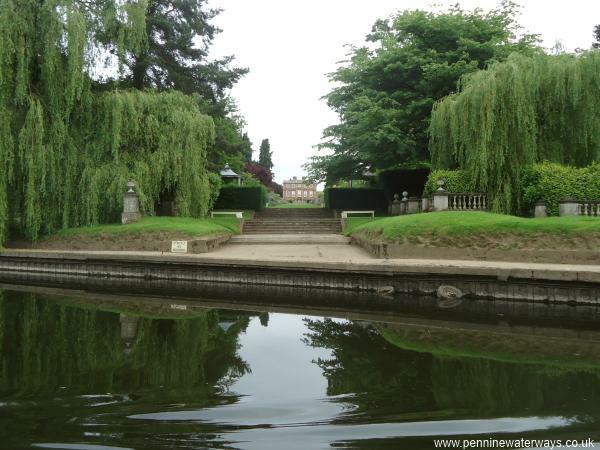 Looking back from Oxclose Lock at the start of the Ripon Canal along the channel leading from the River Ure. 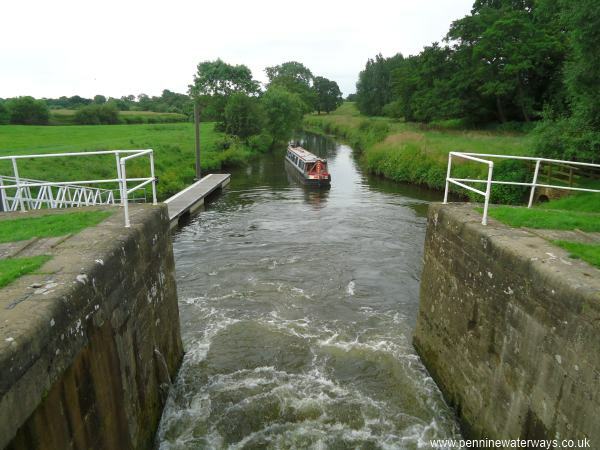 The approach to Rhodesfield Lock on the Ripon Canal.